Bricks, Blocks and Rocks, LLC can take care of all of your masonry needs - including the complexities of fireplace and chimney construction. We build the traditional Rumford fireplace, as well as Isokern and Russian types. Founder and owner, Steve Wall, has been providing quality masonry products in the Asheville area for over 30 years. Insured and licensed, his work is showcased in many Asheville homes. Check out our Photo Gallery to see some of the creative work we have produced by combining various types of masonry products and effects. Whether you want to finish the exterior of your home in a beautiful combination of rock and brick, create a soaring majestic fireplace, have masonry columns added to accent your porch, or to simply do restoration work in your historical home so that it looks like it did when it was done originally - we can help! your home or work project today! 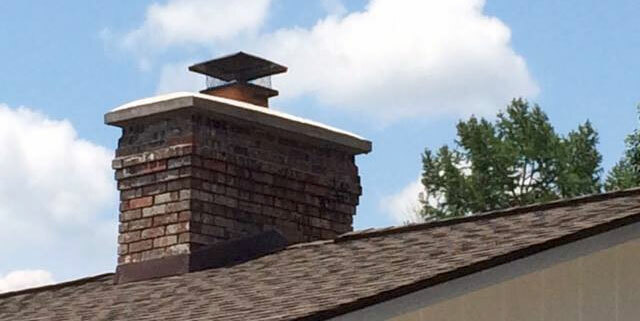 This is an example of a custom, "poured in-place" English chimney cap. 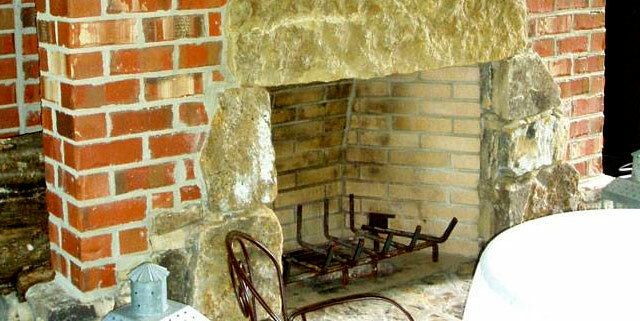 This is an example of a Rumford style fire box, with combinaton of stone and brick for the fireplace itself.